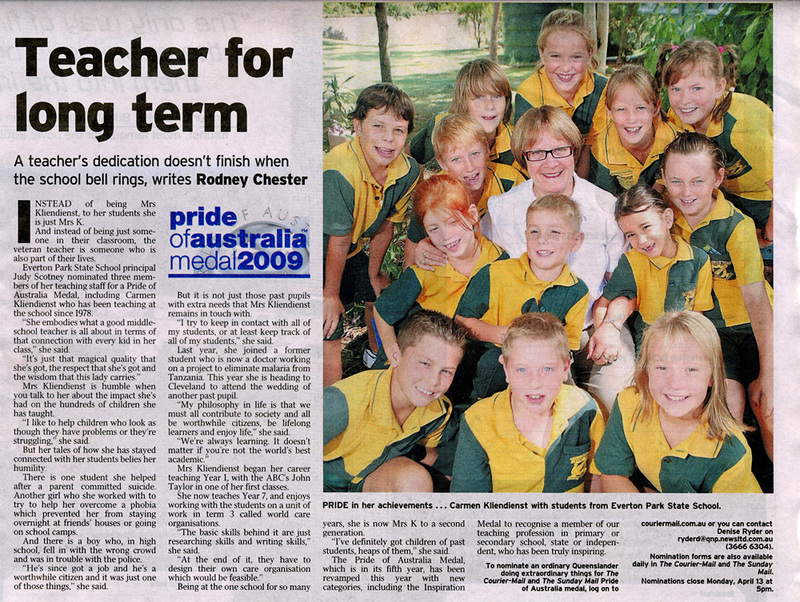 The call recently went out in Australia for nominations for the 2009 Pride of Australia Medal, an annual medal presentation recognising the achievements and contributions that have been made in communities all across the country, by unsung heroes. In essence the medals, handed out across the following 10 categories - Outstanding Bravery, Emergency Services, Community Spirit, Child of Courage, Young Leader, Care and Compassion, Inspiration, Environment, Fair Go and the Serving Australia - are awarded to ordinary Australians responsible for making extraordinary contributions, or having profound positive impacts on their fellow Aussies. 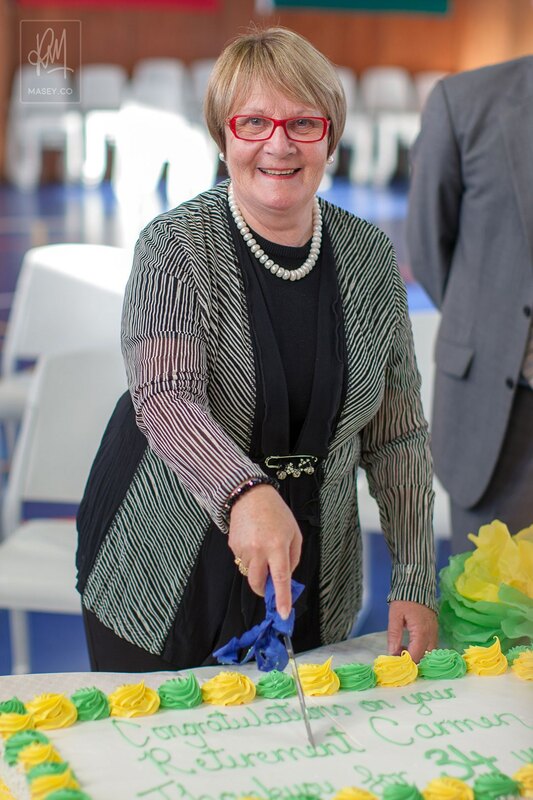 It is with an enormous amount of pride that I learned recently that my favourite primary school teacher, Mrs Carmen Kliendienst, has been rightfully nominated for such an honour, in this year's awards. 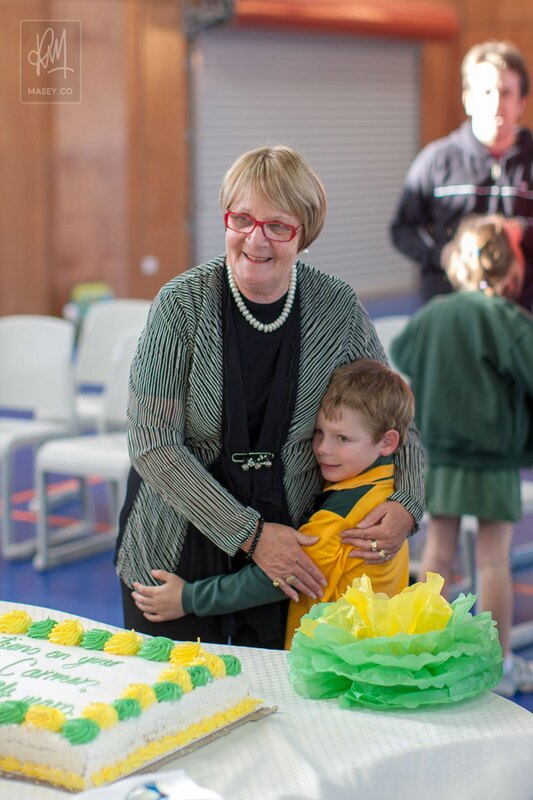 Known simply as "Mrs K" to the hundreds of students and families she has influenced throughout her teaching career, this extraordinary woman has taught at Everton Park State Primary School for something like 31 years now (that's almost as long as I am old). 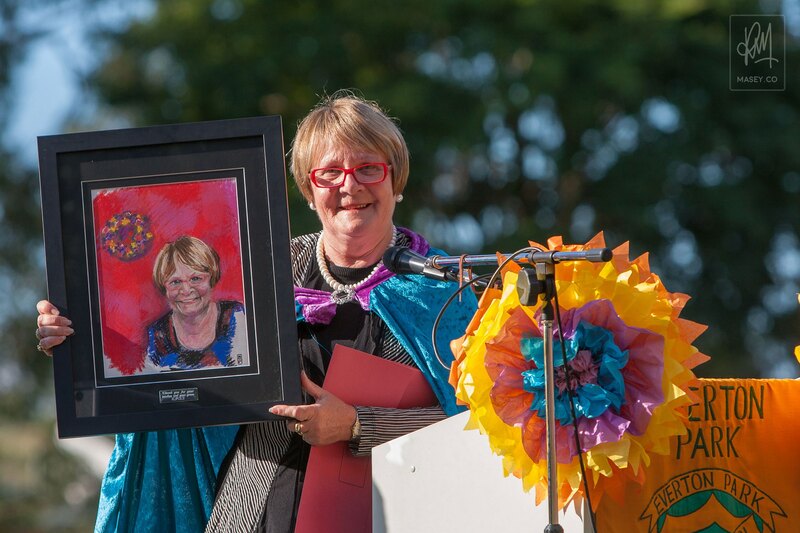 It wouldn't be too hard to track down countless stories of how she has weaved her personable and caring magic in such a way that has shaped (perhaps unobtrusively at first), the lives of many a young person that has passed through her classroom. From a personal standpoint, I firmly believe that Mrs K was, in addition to my wonderful parents, the very first and most influential life coach I have ever had. Directly or indirectly, she was the one who paved the way for the life journey I have been on over the past twenty-odd years. Her fair and nurturing teaching style was largely responsible for keeping my head in the game when it came to my studies. 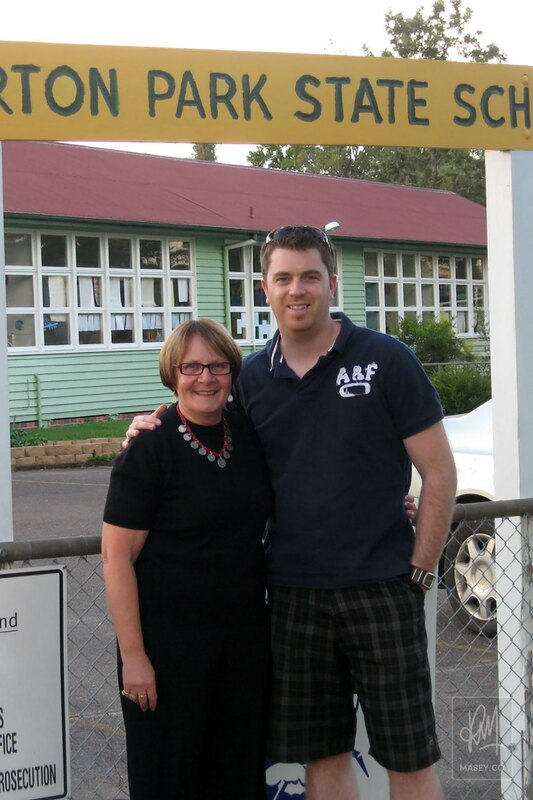 As one of my teachers from years 4 to 7, Mrs K constantly supported and guided my academic growth. 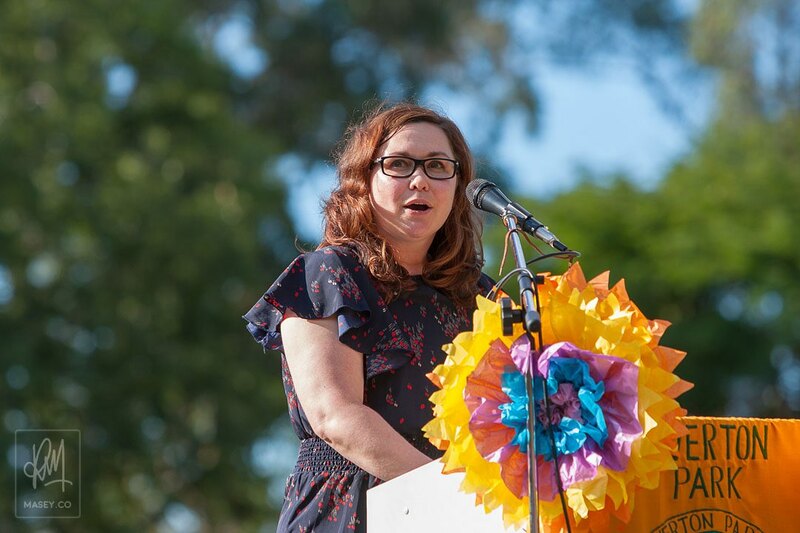 I was always encouraged to grab with two hands any opportunities that came my way, be it academic, sporting or the arts and that certainly was the catalyst for an incredibly full and rewarding program I took on in my high school years. When it came to the sporting field and all things active, it didn't take much to get me on the running track. 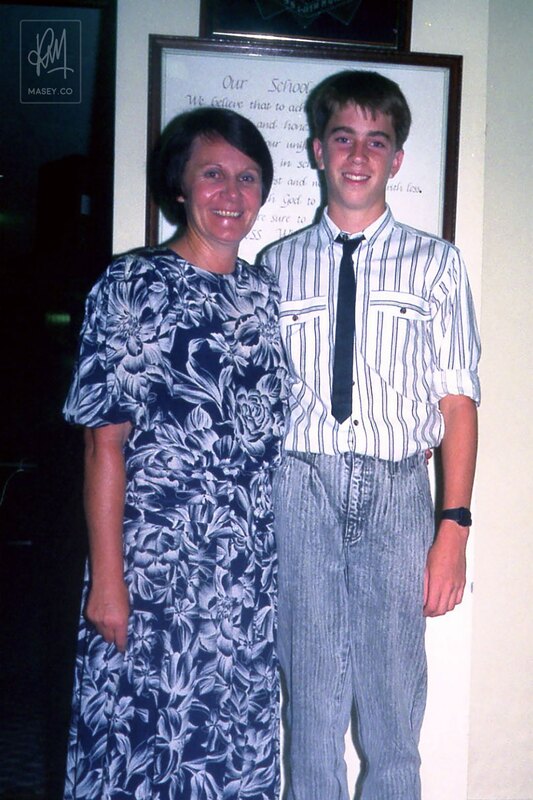 But in the mornings when it was difficult to get motivated for athletics training, Mrs K was always there on the school oval to greet me an hour before school each morning, pushing me to ensure I made my lap count. 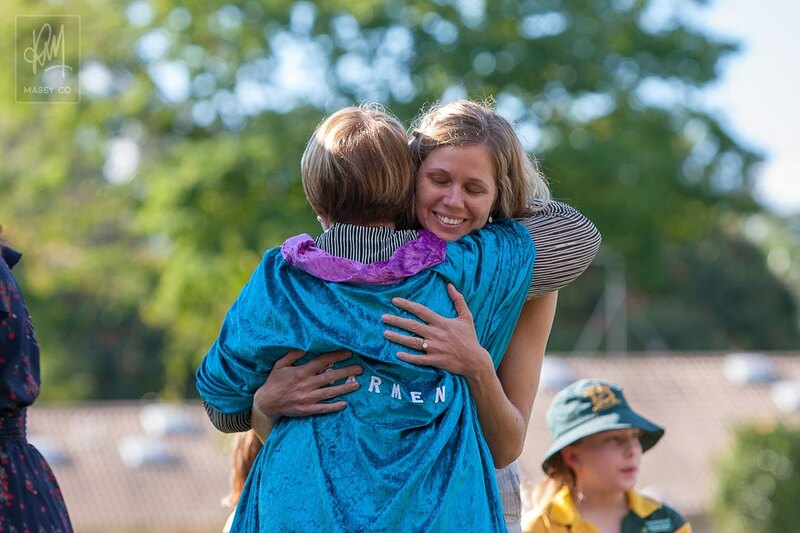 It was her ongoing support and coaching through the years that assisted me in ultimately becoming a medal winner at the 1990 Australian Primary Schools Athletic Championships. 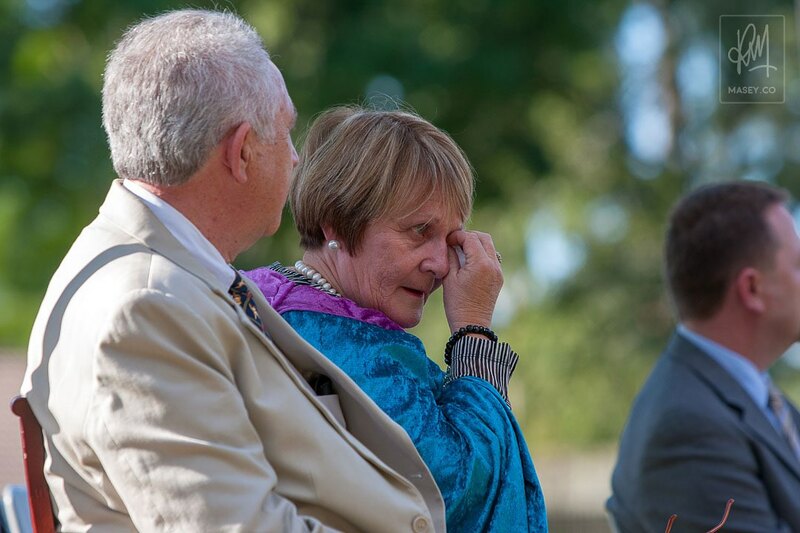 But above all this, Carmen Kliendienst was, to me anyway, an inspiration. 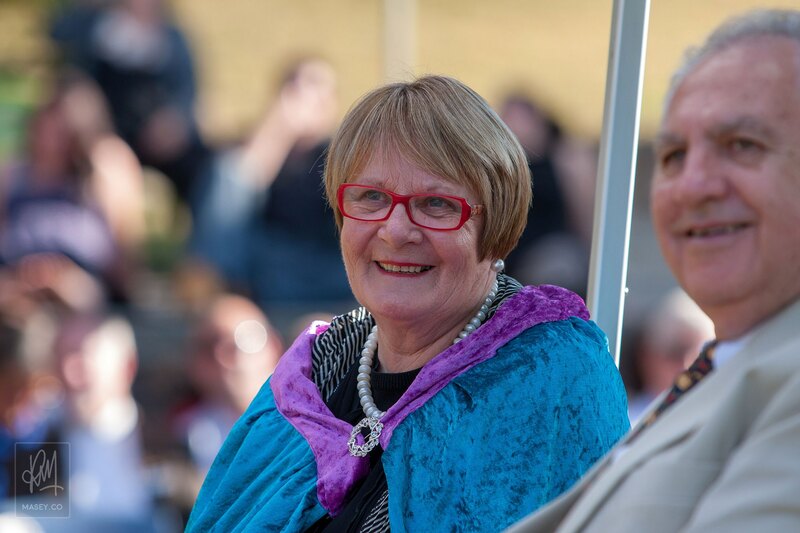 Always there to provide me with advice and encouragement on schooling matters or simply to lend an ear when the dramas of life as a youngster got me down, her wicked humour and caring and generous nature was a dependable comfort. And it seems, not surprisingly, I'm not the only one who has been touched by Mrs K's own special brand of inspiration. A recent article (see below) published in "The Courier-Mail", Brisbane's leading daily newspaper, provided a clear picture of the scope of her generosity. 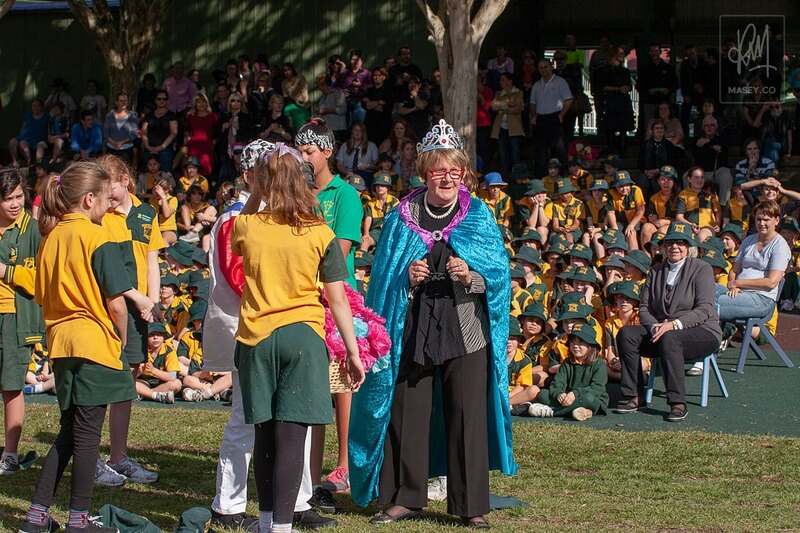 With all of this in mind, it is more than fitting then, that Mrs K has been nominated for this year's Pride of Australia "Inspiration" Medal. I cannot think of anyone more deserving and I wish her all the best of luck with her nomination. Regardless of the result, whether a medal finds it's way around her neck justly recognising her amazing contribution to the community or not, she'll always be an inspiration to me and for that I will never be able to thank her enough. 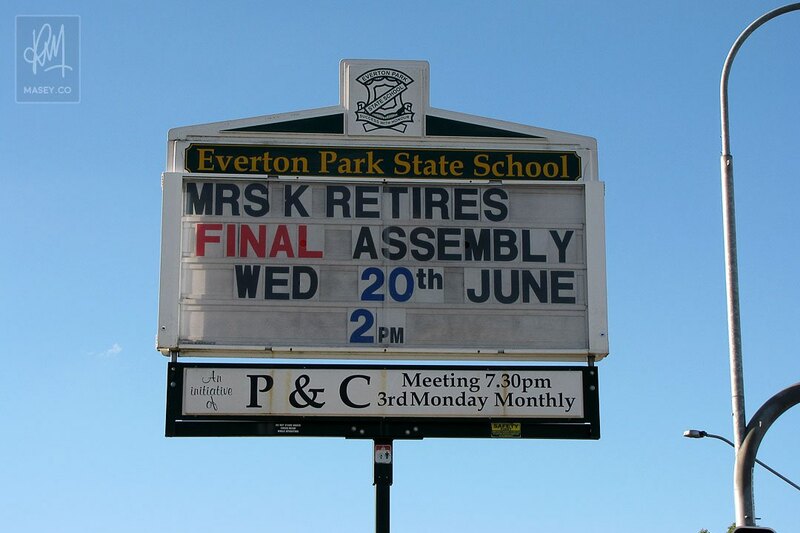 20 June 2012: I've just returned from a lovely morning up at Everton Park Primary School where a special assembly was arranged to farewell Mrs K on her long-awaited and especially well-earned retirement after 34 years of teaching. 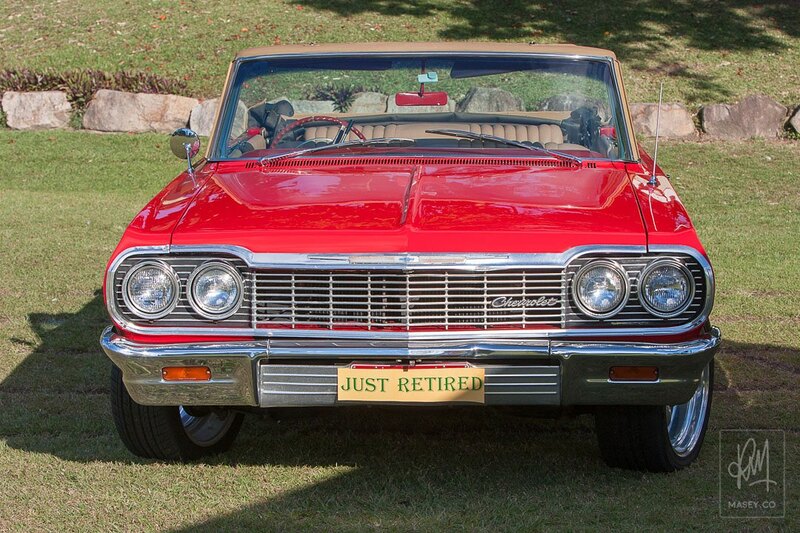 The fittingly royal-like arrival of the special guest was via an Impala Convertible which delivered Mrs K to the head of a student guard of honour. 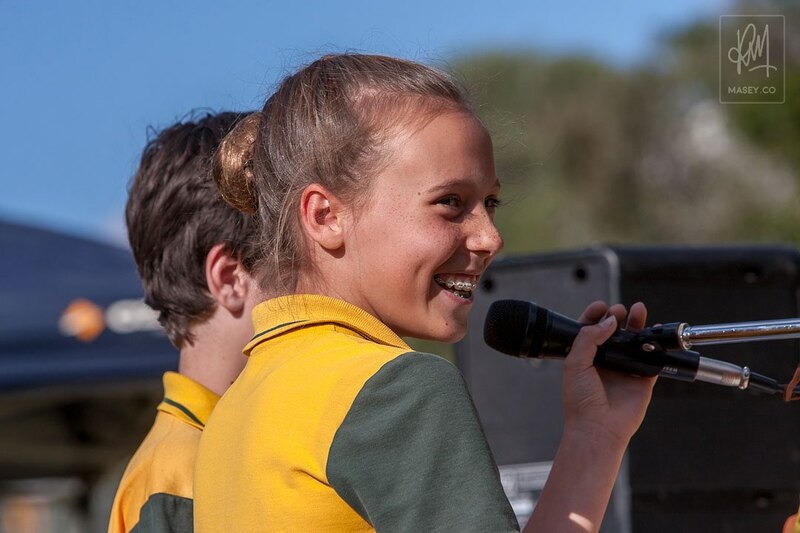 This was followed by a number of speeches by current staff and school captains, and a few of Mrs K's former students. Commemorative portraits were gifted and Mrs K imparted a few last words of wisdom before festivities transferred to the school hall for mingling and refreshments. As I understand it, Mrs K is literally off to explore some more of the world (China this time around, I think) later this week. Sounds like a great way to celebrate an amazingly successful career and the perfect way to launch into her retirement! 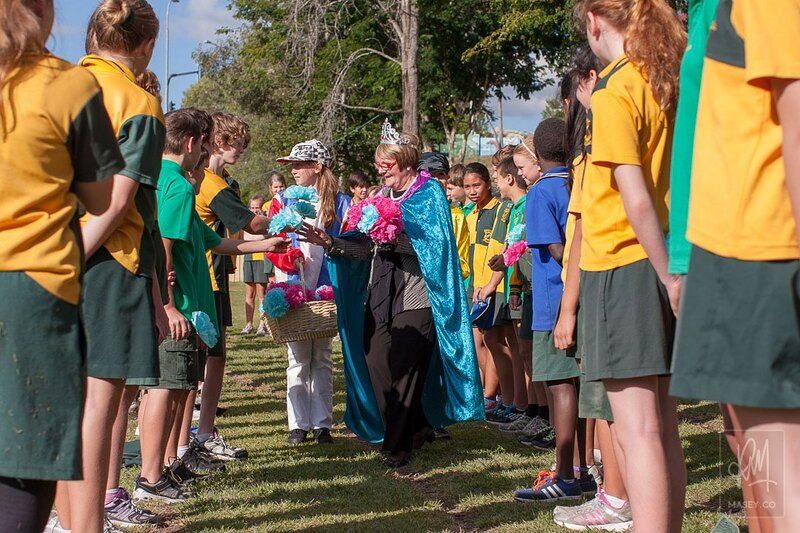 All the best Mrs K!